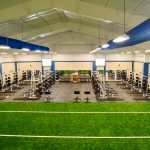 SLA was contracted by the Lampasas ISD for three individual task orders: 1) Reroof of Middle School; 2) Utilities Upgrade & Renovations to Middle School; 3) Design for New Weight Room Addition to Field House. 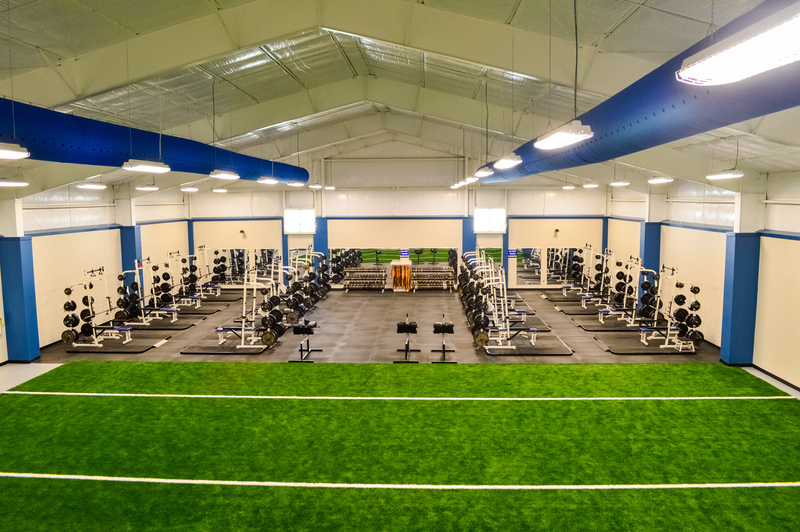 The design and construction has been completed for each of these projects. 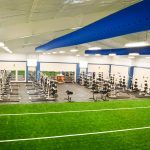 The Scope of Work for the Field House Addition included an independent building of approximately 8,858sf located south of the current Lampasas ISD High School Field House. 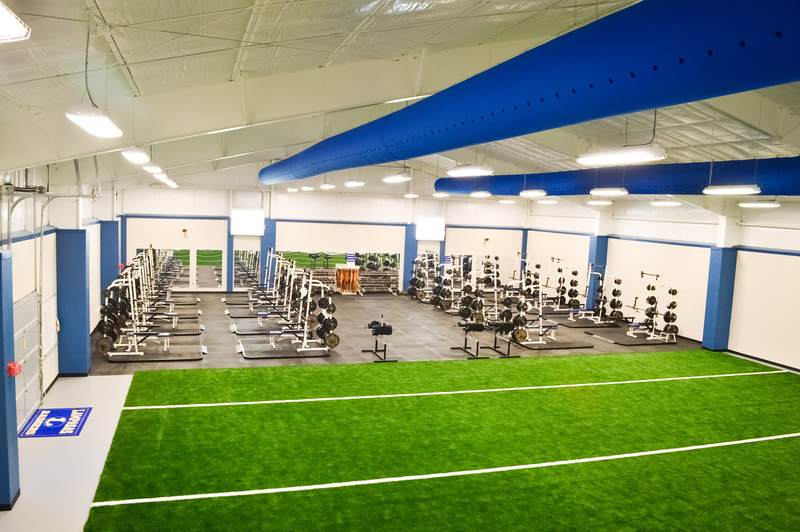 The building included a mezzanine for general storage and mechanical system. Site work included demolition of concrete walks, new concrete walks, chain link fencing, new prefinished canopy, and site utilities to accommodate the new addition. 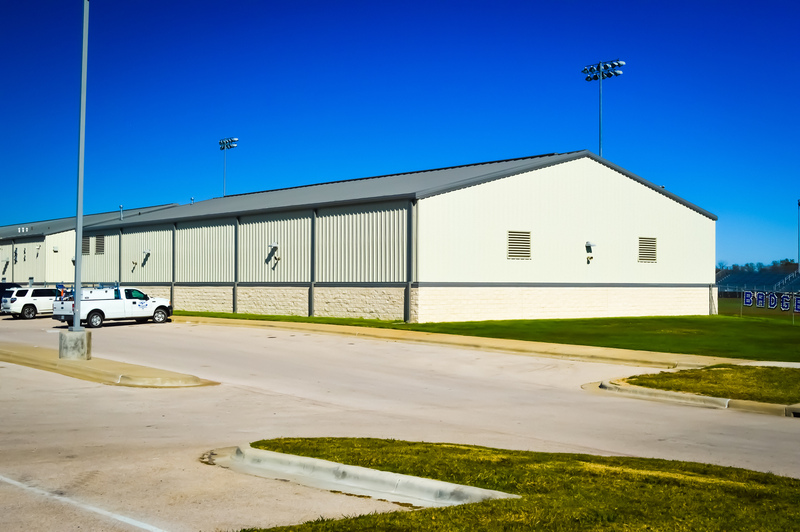 The building is a pre-engineered metal building structure (clear span gable system) with split face CMU veneer water table and prefinished metal wall panel exterior, and prefinished standing seam metal roof system. These elements were designed to match the existing campus of the High School. 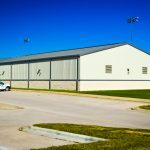 More recently, SLA was commissioned to provide design services for the reroof on three campuses utilizing a foam-roof system totaling 180,000sf.